The present radio we use either in the form of standalone boxes or embedded in Mobile or any other smaller form has a long discovery history. Is Guglielmo Marconi , who was born on 25 April 1874 an Italian electrical engineer and Nobel laureate famous after he developed a system of wireless telegraphy known as "radio". He received it with Karl Braun in 1909. Guglielmo Marconi was born in Bologna, the second son of Giuseppe Marconi, a wealthy Italian man and Annie Jameson of Irish blood. He finished his education in Livorno. On June 15, 1927 Guglielmo Marconi married Maria Cristina Bezzi-Scali and had a daughter named Maria Elettra Elena Anna Marconi. 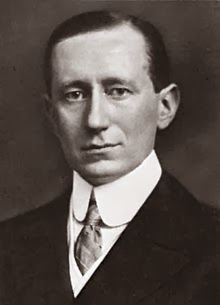 Marconi died on July 20, 1937 at the age of 63 in Rome, Italy. Guglielmo Marconi gets a private education from a teacher. About 1894 when he was twenty years old, several years earlier Marconi had read the experiments performed by Heinrich Hertz. These experiments explicitly demonstrate the presence of an invisible electromagnetic wave, moving through the air at a speed of sound. After reading Heinrich Hertz's experiments on electromagnetic waves, Marconi's idea emerged that these waves could be used to send long-range crossing marks without passing through wires that provided many possibilities for communication that telegram could not reach. For example, in this way news can be sent to a ship in the middle of the sea. A year After that in 1895 Marconi successfully memprodusir necessary equipment. In 1896 he demonstrated his discovery tool in England and obtained his first patent for this invention. Marconi rushed to set up the company and the first "Marconi" was sent in 1898. The following year he was able to send the news without wire crossing the English channel. Despite his most important patents acquired in 1900, Marconi continued the making and patenting of many improvements on the basis of his own invention. In 1901 he managed to send radio news across the Atlantic Ocean, from England to Newfoundland. The significance of his new discovery was dramatically illustrated in 1909 when the SS Republic ship was damaged by a collision and sank to the seabed. Radio news is very helpful, all passengers can be saved except six people. That same year Marconi won the Nobel Prize for his invention. And the following year he managed to send radio news from Ireland to Argentina, a distance of more than 6000 miles. All this news is sent through signs of Marconi's code system. As is known, the voice can be sent by radio, but this can only be done around the year 1915. Broadcasting of radio on a commercial scale just beginning the early 20s. An invention whose patent has a high price by itself raises disagreements in court. However, the various demands in the court immediately disappeared after 1914, when the court recognized Marconi's rights. The following year Marconi made another important inquiry in the field of shortwave and microwave communications. Marconi is famous for the inventor of radio, but the most important thing is his theory of electromagnetic waves that can transmit something without a wire or called radio waves, Marconi did not find the television. However, his radio discovery was an important opening of the way television was invented. Marconi's discovery of radio is useful for news delivery, entertainment, military purposes, scientific inquiry, police duties, and so on. the use of radio is so remarkable that its use can reach cars, ships in the oceans, airplanes that are on the air, even spacecraft. Clearly a discovery is more important when compared with the telephone because the news is sent by telephone can also be sent via radio, in addition messages via radio can be sent to places that can not be reached by telephone. 0 Response to "Who Invented The Radio? History Of Radio - Biography of Guglielmo Marconi"